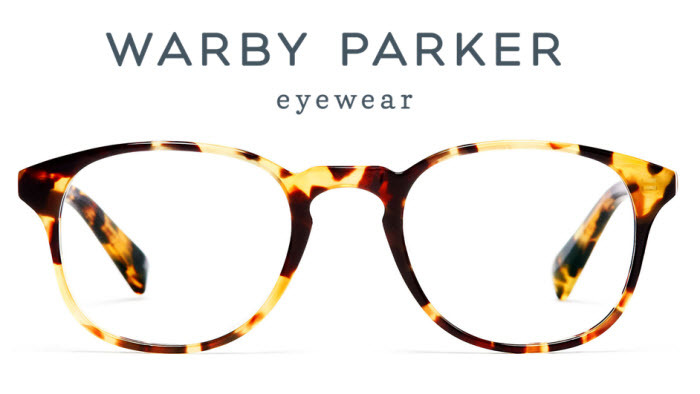 If online retailers are expected to see the world through the frames of experience-seeking consumers, then they would benefit from doing so through those of Warby Parker. The competitively priced online eyeglass-frame maker, launched in 2010, has transformed what was an essentially physical, and often colorless, shopping experience into a highly engaging digital one. Five years after launching, Warby Parker is a beloved brand valued at an estimated $1.2 billion. Today physical stores are a critical part of Warby Parker’s growth strategy, but that does not alter the foundation upon which its online success is built. Warby Parker’s brand loyalty is owed to its strategy of dressing up the process of trying on glasses with an element of sociability that does not exist at the traditional eyeglass store. By sending customers a selection of frames to try on at home, at the office or wherever, Warby Parker gives them the chance to share and get feedback from family and friends before they buy. In a variety of ways, Warby Parker answers an increasingly urgent question today: How can online merchants create a digital environment that emulates the shared, relationship-based shopping experience many people still savor with family and friends? Last week I opened up this topic by examining the migration of shopping patterns from physical stores to digital sites (and back). This of course required an examination of demographic influence, along with the now-obligatory scrutiny of the millennial influence. The conclusion: With technology accelerating at a pace faster than that of birth years, we cannot simply package vast age groups and label them as single-acting cohorts. Variations In technology use can exist even within five-year age spans, and they can disproportionately shape the preferred shopping experience. The challenge for retailers is identifying those desired experiences. Which is where visionary brands such as Warby Parker enter. To identify preferred customer experiences, all retailers – including Warby Parker – are tasked with breathing life into analytics. That means decoding the data, teasing out aspirations from actions, and drawing understanding, the lifeblood of customer relations, from their insights. For online merchants, the next step of parlaying this understanding into rewarding customer experiences can be a lulu. Shared experiences: Warby Parker is best known for uniquely morphing the convenience of online shopping with the social satisfaction of trying on frames before family and friends. It did this through its Home Try-On program, through which customers can order a sample box of five frames. Warby Parker also found a way to fold the expertise of a retail associate into the site by providing expert-level product information. Each eyeglass frame is described in terms of how it fits different faces, and a model wearing the frames follows the user’s curser so they can be viewed from different angles. The site also offers a live chat feature for shoppers seeking additional information. Customized customer understanding: Warby Parker’s customer understanding is based on careful planning. Its intelligence team has created an in-house data book the full company adheres to, ensuring a common, unambiguous vocabulary and approach, according to Warby Parker’s blog. To better understand the relationship between online and offline purchasing, it overlays resources such as clickstreams, transactional history, in-store analytics and social media, according to a story in Data Science Weekly. And while purchases are generally small, its Home Try-On program generates relatively large data sets through which it can build recommendations. The unexpectedly high sales of monocles, for example, cause it to modify its analysis algorithm. Brand discipline: Warby Parker has excelled at adding social elements to online shopping, through its Home Try-On program. As it expands from online ordering to physical formats, it is tasked with maintaining those online customer expectations, seamlessly. It helps that the founders, David Gilboaand Neil Blumenthal, have said they never thought of Warby Parker as an online-only merchant, and they do not see stores as profit centers as much as “marketing collateral” that serves the overall brand. Regardless of purchase channel, all employees, from service reps to data analysts to designers, serve as brand marshals, relying on a style guide that includes advice on how to converse with customers in a likeable, compelling way. These three essentials combine to form a clear perspective of how online shopping can deliver experiences that are communal in nature, while blurring the division between in-store and online. It also dovetails neatly into my next column, in which I will address how physical and digital purchasing – using one to complement the other – should change the nature of physical shopping. This article originally appeared on Forbes.com. You can view the original story here.